A key BBC World Service transmission site on Ascension Island in the South Atlantic has embraced on-site wind power with the assistance of sustainability consultancy AEA, which was commissioned to investigate renewable power options to replace ageing technology at the site. The new hybrid wind/diesel power station is expected to save approximately £500,000 (US$803,000) a year on the diesel fuel that previously had to be shipped to the island, and reduce the frequency of tanker-supplied diesel fuel deliveries to 18 monthly intervals. The location and nature of Ascension Island made the project particularly challenging – the island is volcanic and has no deepwater port. However, since the turbines have been in operation they have generated in the region of 205 MWh of electricity a month – offsetting approximately 58,000 litres of diesel. 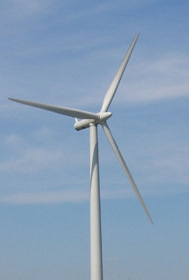 This entry was posted in Broadcasters, News and tagged BBC World Service, Wind Power on November 25, 2010 by Thomas. I’ve been following the story of journalists with Radio Dabanga who’ve been arrested for reporting independent news that has been critical of the Sudanese government. I should mention that, for those living in the Darfur region of Sudan, Radio Dabanga is one of the only news outlets available. Thirteen people have been arrested and the government isn’t giving families or the public any clues as to where they are being held and their state of health. 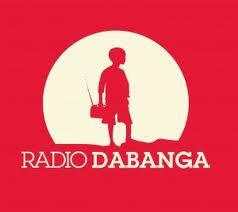 Still, Radio Dabanga plays on–via shortwave and over the internet. It’s Thanksgiving here in the US–this year I’m thankful for journalists and broadcasters who risk everything to deliver news and information. For many people on this planet, their words are a lifeline. Thank you. This entry was posted in News and tagged Radio Dabanga on November 25, 2010 by Thomas. The independent radio station, Radio Free Sarawak has started broadcasting via shortwave on 7590 and 15680 kHz. RFS broadcasts are targeted to communities in Sarawak, East Malaysia at 6:30-7:30 and 18:00-19:00 local time (or 22:30-23:00 and 10:00-11:00 UTC respectively). 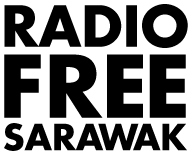 Radio Free Sarawak has been broadcasting daily since November 14th–you can listen to past episodes online. Thanks to Myke (via FB) for the tip! This entry was posted in Broadcasters, News and tagged New Shortwave Station, Radio Free Sarawak, RFS on November 17, 2010 by Thomas. The Tecsun PL-660 is now available on eBay. This little radio could be worth grabbing as it has sync detection and the Air band (much like the Grundig G3). The price is right at $75 (black version) or $85 (silver version). Note that this radio is shipped directly from Hong Kong. Thanks to OWL for the tip via the ShortwaveRadios Yahoo Group. This entry was posted in News, Radios and tagged eBay, PL-660, Tecsun PL-660 on November 12, 2010 by Thomas.